Prepares you for every unanticipated situation. As a service provider, one needs to value the time that a customer has taken out to get in touch with him. In a tech-savvy world where you can reach out to anyone at a click, making customers wait or putting their calls on hold often amounts to an unprofessionalism demeanor. Interactive Voice Response services wonderfully replace the unwanted and dreaded wait times with a simple self-service mechanism that takes away the needless worry of your customer by getting the work done without any extra effort. IVR takes charge in situations where things seem to go beyond control. No doubt, the interaction between you and your customer gets optimized in the appropriate manner. Vcall Global understands that all the activities of an enterprise might come to a standstill in the absence of an efficient IVR network. Whatever may be the situation, voice response functions as the backbone that virtually supports the flow of communication within an organization. 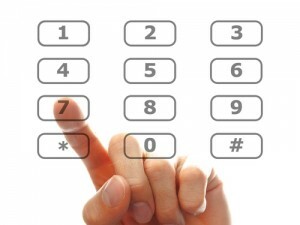 Our IVR estimates the call volume that is expected for any given client and routes the calls accordingly. We streamline the process through quick call identification and auto-routing of calls to the concerned service representatives. Robust IVR development services at Vcall Global helps in integrating the business requirements of your enterprise with our service bouquet. Our one-of-its-kind service design makes sure that a customer is able to reach out to you in a faster and more efficient manner. In addition, live access to customer support augments service quality to a level where the satisfaction of customers transcends into appropriate outcomes. And many other useful services…..